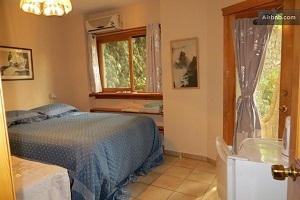 Myrtle the Turtle's Guesthouse is a clean, comfortable budget guesthouse located in the middle of the Old City of Safed. The guesthouse is located off a private courtyard and offers a 1/1/2 bedroom unit that includes a room with a double bed and a second bedroom with 2 single beds. Special prices are offered for multi-day stays and middle-of-the-week stays. Check out Myrtle the Turtle's Guesthouse for a comfortable and inexpensive vacation hideaway.